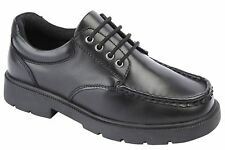 Boys Leather Timberland Boat Earthkeeper Shoes Size Uk 3.5 . Condition is Good . Dispatched with Royal Mail 2nd Class. Navy Tommy Hilfiger Boys Boat Shoes/Pumps infants Size 11. Condition is New with box. Dispatched with Royal Mail 1st Class. 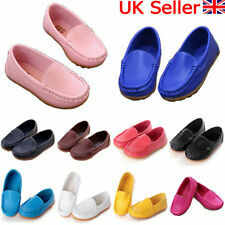 boys crocs boat shoes uk 9. Condition is Used. Dispatched with Royal Mail 2nd Class. In good condition, these were my faves as look awesome with jeans and shorts / chinos etc ! £40 new from croc store and hard to find ! Boys River Island Boat Shoes Size 1. Condition is Used. Dispatched with Royal Mail 2nd Class. THEY ARE RIVER ISLAND AND A SIZE 13. 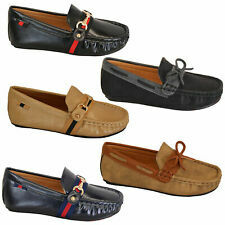 BOYS TAN LEATHER SLIP ON SHOES. boys Navy boat shoes size 7. As new condition worn once. Timberland Boat Shoes Boys Size 10. Quite wide fit Condition is Hardly Used Leather plus Leather Laces.Fron a Pet and Smoke Free Home Happy Biding Dispatched with Royal Mail 1st Class. Ralph Lauren boys blue velcro boat shoes/trainers. Size 9.5 infant. In good condition with no scuffs or other visible damage. Slight fading from the sun on the straps but they still look lovely when worn. These were only used for a short while last summer. No box unfortunately. I have listed a matching RL shirt age 4 and next jeans age 6. Purchased for £55 last year from Alex and Alexa. I aim to post within 2 working days of payment and usually send 1st class. I obtain proof of postage so cannot accept liability for items lost in the post. I can send recorded at an additional cost if requested. If you have any questions, please send me a message. I have listed a matching Gucci cap which was only worn once too. Boys Timberland Boat Shoes Size 13. Good Condition. Only worn once. Dispatched with Royal Mail 1st Class. Navy Leather Boys Boat/deck Shoes With White Stitching Good Condition Size 11. Currently on sale in Marks and Spencer at £26. Condition is Used. Dispatched with Royal Mail 2nd Class. Boys boat shoes, Ralph Lauren size 13 uk 32 euro. Dispatched with Royal Mail 2nd Class. Lovely pair of Boys Timberland Boat Shoes, size 5/38 in brown. These have been worn but are still in great condition. Boys Size 12 Blue Boat Shoes From Lily & Dan. Condition is Hardly used, Dispatched with Royal Mail 2nd Class. Boys Summer Canvas Boat Shoes Velcro Size 9. Condition is Used. Dispatched with Royal Mail 2nd Class. Genuine Timberlands. Good condition. Hardly worn. Please see photos for details of condition. Lacoste navy and brown boat shoes size 13 boys. Condition is Used. Dispatched with Royal Mail 1st Class. As seen in photo lace will need replacing. Clarks Boys Leather Boat/Deck Shoes Brown/Tan No laces - pull and tighten with a white press down toggle and tuck in Size 12.5G junior Dispatched with Royal Mail 2nd Class. Pet free smoke free home Very well looked after Worn twice - fantastic condition. See photos.